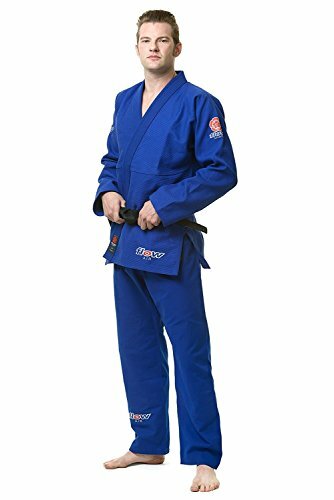 When I first received my Flow Kimonos Air BJJ Gi, I thought I had made a mistake. The material was incredibly stiff, even for a brand new Gi. The woven jacket felt like sandpaper, and the pants were so crisp. I considered a return, but I decided to just put it through the wash and give it a try. So glad I did. The thing fit like a dream, like pajamas. Unlike the usual thick and heavy BJJ pants, these were more like wearing linen pants, but they feel incredibly durable. Size-wise the jacket fit great. I’m 5’8 and 170-177lbs, and got the A3. I have wider shoulders, and the A3 fits pretty good, I could have even gone down a size. At this point I’m probably on wash number 150-ish, and the Gi is holding up great. Now that it’s summertime, and my gym doesn’t have air conditioning, the Flow Air Gi is a must. I notice a huge difference in my energy levels and sweat production between wearing my old heavy BJJ Gi and the Flow Gi. The air flow in the Flow Air is crucial to my survival on the mat. The woven cotton fabric on the Gi is top notch. After the first wash the stiffness went away, and it was like wearing an actual kimono. I use the jacket regularly to do grip pull ups from the sleeves and collar, and there’s no sign of the fabric stretching or weakening. According to their blurb, it is a “combed cotton pearl weave jacket”, which is supposed to be stronger than the more common carded cotton pearl weave. Whatever the material is called, it’s fantastic. The ripstop pants are super lightweight as well, and they are held up by a much better design than the usual BJJ pants. 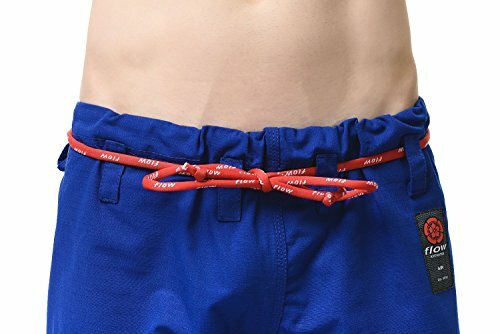 This style is more like a drawstring, but still has the belt loops that you weave through before you tie it off, preventing your pants getting yanked around during randori. The drawstring is actually more of a rounded cord, much easier to deal with than the usual flat drawstrings. I highly recommend this gi if your are looking for something new. Or better yet, if you train somewhere without air conditioning, the Flow Air Gi is a must have. I’ve rolled with people who have the Flow Hemp Gi, and yes it is a little nicer fabric wise, but the Flow Air is also half the price. It is definitely worth the money. 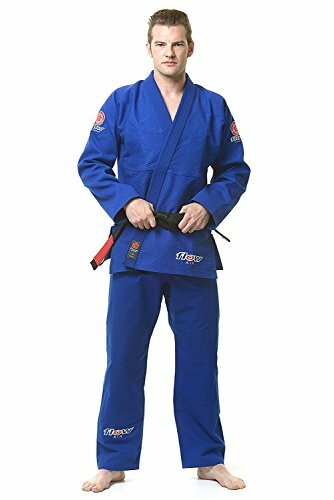 I got tired of washing my one gi everyday, so I decided to pick up a backup. The Flow Gi has become my go to, and I couldn’t be happier with it. Flow Kimonos are most known for their hemp fiber gi line, but the Flow Air is the next best thing. I couldn’t be happier with this one, and am glad to out from under the weight of the old style. 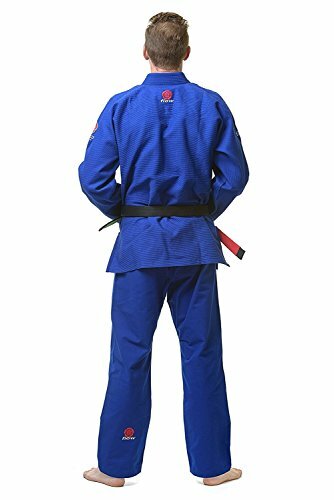 I purchased this Flow Kimonos Air BJJ Gi at full price. This did not influence the outcome of this review, written after training 5 months with it.